Pakistan's relations with Iran have nosedived after the recent killing of ten Iranian border guards at Mirjaveh on the Sistan-Baluchistan border by the Pakistan-based Sunni terror outfit, Jaish al-Adl or "The Army of Justice". Tehran's move to summon Pakistan Ambassador to Iran, Asif Durrani and ask Islamabad to act "seriously and decisively" to detain and punish the (Jaish al-Adl) terrorists, is in itself a pointer to the deterioration in relations following the killing of the Iranian Border guards. According to The Guardian, the Iran Foreign Ministry's protest was strong and vociferous enough for Ambassador Durrani to offer his condolences and sympathy over the tragedy that took place on April 26, and to give an undertaking that he would flag Iran¹s concerns as soon as possible with the Government of Pakistan. Tehran was categorical to say, "Unfortunately, Pakistan's borders with us (Iran) are the least safe ones, while we have tried to provide utmost safety on our borders with Pakistan. We expect the Pakistani side to act on previous promises by not allowing such incidents to happen from Pakistan¹s borders and soil." 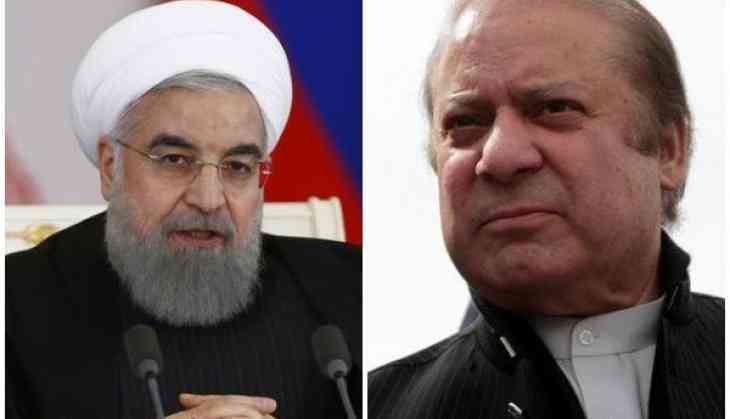 In a letter to Pakistan's Prime Minister Nawaz Sharif, Iran's President Hassan Rouhani said that given the warm and friendly ties with Pakistan, he was extremely disheartened to see militants using Pakistani soil to launch their attacks on people in Iran. His anguish and anger over the killing of border guards was reflected in the statement, Iran "is very disheartened that it is repeatedly transgressed upon from Pakistani soil by armed bandits and terrorist hirelings." He added, "Iran¹s soil has never been abused against any of its neighbors, including Pakistan." He warned that targeting the Muslim world¹s unity through proxy warfare to promote underdevelopment, insecurity and poverty in the region would be countered very strongly and effectively. The Iranian leadership, according to a Press TV Iran report was viewing the killing of the ten Iranian border guards and injuries to two others as a desperate measure that would not go unanswered. The Tasnim news agency reported earlier this week that the militant group Jaish al-Adl, or "The Army of Justice", had claimed responsibility for the killing of ten Iranian border guards in an ambush at Zero Point. Iranian police said the guards were killed by long-range guns and called on Islamabad to assume ultimate responsibility for the crime. The Sistan-Baluchistan province in south-east Iran has long been plagued by drug smuggling gangs and separatist militants. The population of the province is predominantly Sunni Muslim, while the majority of Iranians are Shias. The Jaish al-Adl is a Sunni militant group that has carried out several attacks on Iranian security forces with the aim of highlighting what they say is discrimination against Sunni Muslims and the Baluch ethnic group in the province. In the last four years, this was the third instance of the militant group claiming responsibility for an attack. It may be recalled that in October 2013, 14 Iranian border guards were killed. A further eight were killed in April 2015.